2nd outer fabric: 91 % polyamide / 9 % polyurethane. In combination with 4-way stretch features elastic in all directions. 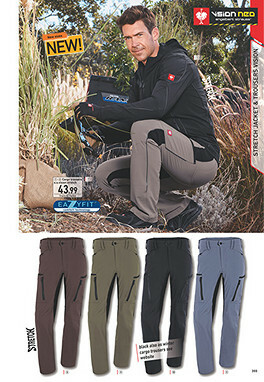 Extremely elastic 4-way-stretch-CORDURA®* for excellent wearingcomfort without rubbing.